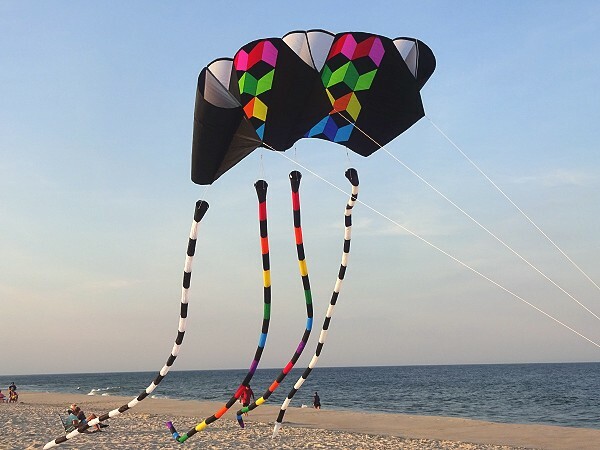 These 24 foot Tube Tails add impact to all kites. Attach one or more to a large Delta for a flowing effect. Or clip some onto the flying line for a vertical stream of color. Each tail has a closed end with loop, to add another tail or spinner, and reinforced opening with swivel clip connector. 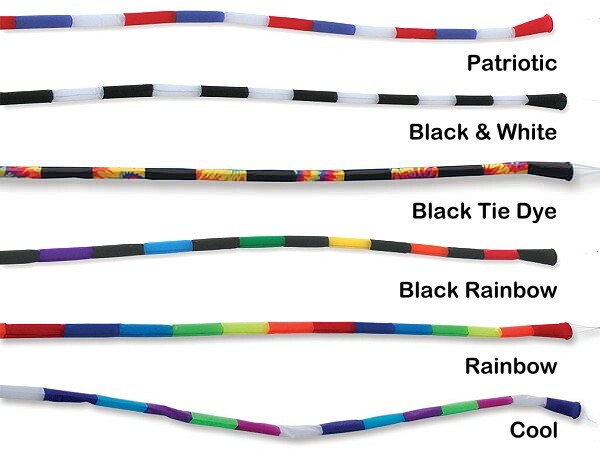 Combine different colors or just match them to your kite. Kites of around 60 inch wingspan should be able to handle one attached tail. More wind and/or a larger kite will be able to lift more tails.